The Italian Figure Skating Championships took place in Milan from December 13th to 16th. 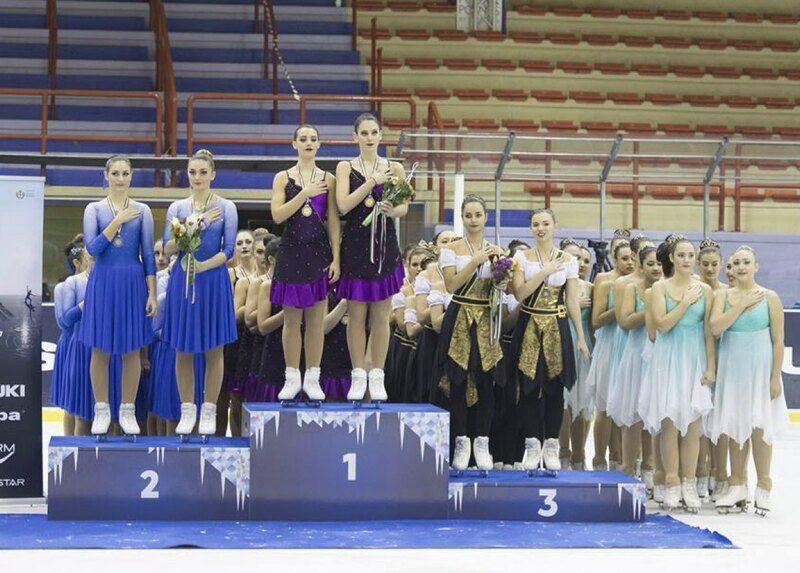 During the second and the third day of competition, seven synchronized skating teams competed to gain the title of Italian Synchronized Skating Champion. 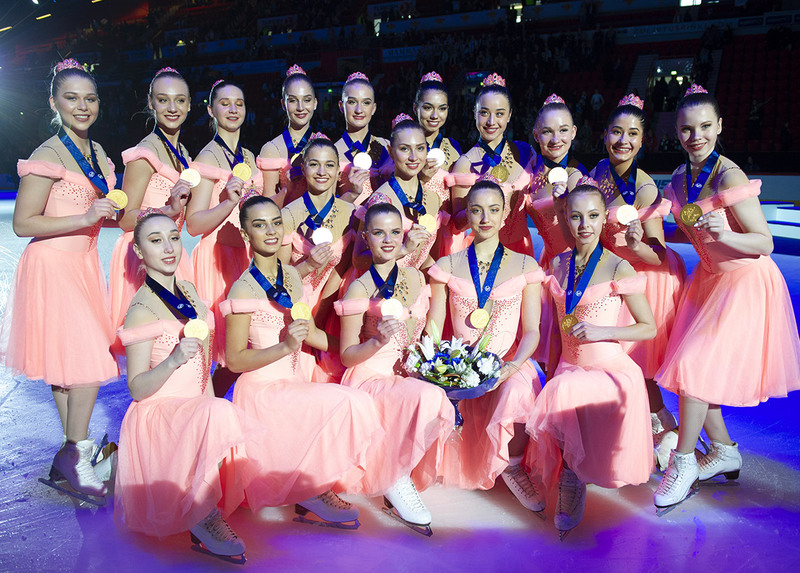 The junior category was composed of five teams: Hot Shivers, Lady Birds, Shining Blades, Flying Angels and Ice Diamonds. The first step of the podium has been conquered by Hot Shivers Junior that in both programs led the competition reaching 109.96 points. The silver medal went to Ladybirds that, after a third position in the short program, skated a free on the music “Wonderwall” of The Oasis convincing all the judges with a score of 94.11. Shining Blades team, skating an elegant short and a strong free program on the theme Pirates of Caribbean, took the bronze medal with 87.45 points. Flying Angels and Ice Diamonds completed this rankings with respective scores of 77.15 and 72.11 points. The winner of the senior category was the Hot Shivers Senior team that to the strains of East of Eden and La La Land skated two harmonious programs achieving a score of 140.01 points. Lastly, the silver medal has been won by the Roman Team Flying Angels with a total of 102.28 points. They skated to Assassin’s Creed and La La Land soundtracks and completed two clean programs. The hand on the heart... 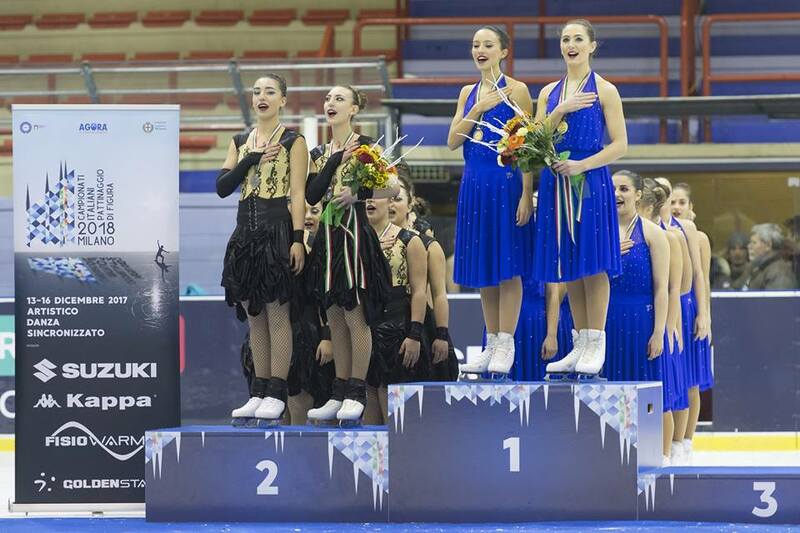 The senior skaters sang on the podium. 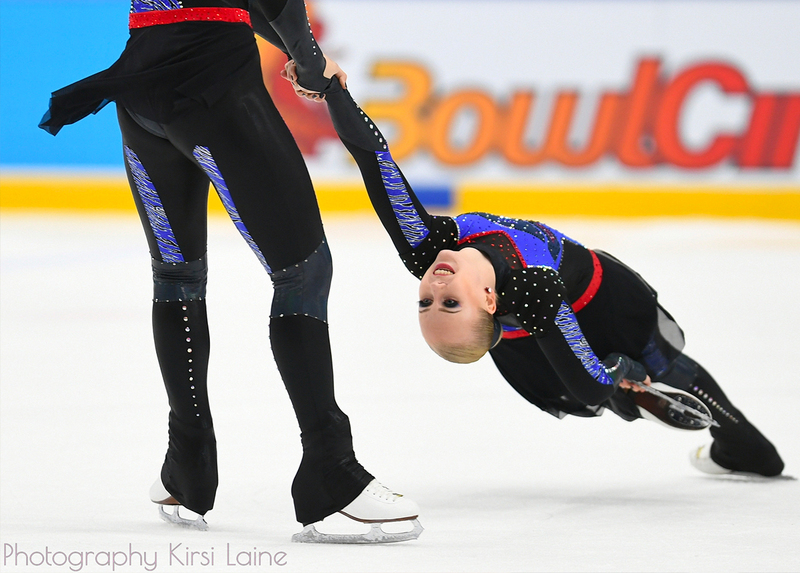 All teams skated with determination demonstrating an improvement compared to the first competition last month. During the Christmas break, they will continue to work in view of the second nationals which will take place in Italy on January 14th.